If I told you there was a new type of nail polish that would last a full week, would you be interested? Of course you would! Most polishes chip after just a few days (or even the same day, if you have my luck). Wouldn’t it be nice to know that your manicure would last until the next one? 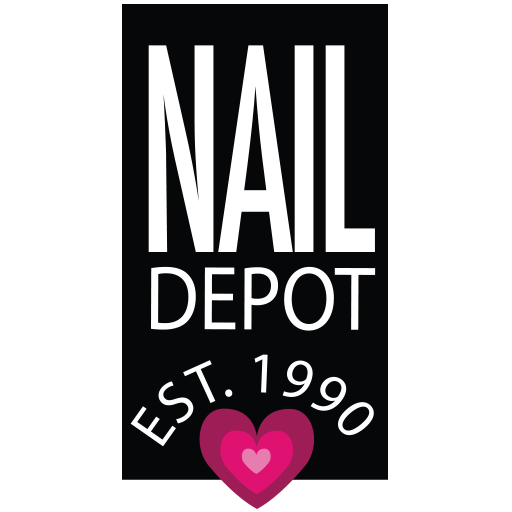 Well, that product finally exists, and CND (Creative Nail Design) is the brand that brought it to us. After revolutionizing manicures everywhere with Shellac, the salon gel manicure that dries instantly and lasts weeks at a time, CND has launched yet another innovation Vinylux. Vinylux is the new baby, and it combines the durability of a gel manicure with the ease of a nail polish. It’s an in-salon OR at-home product, making it more versatile (and affordable!) than ever, as it costs the same as a nail polish (around $6.95). Many women don’t even want to wait the full 3-4 weeks that Shellac can last before changing their nail shade, and VINYLUX was created to cater to those people looking for a happy medium between durability and changeability. Here’s how it works: VINYLUX is applied to nails with no base coat. It looks like a polish, but is actually a liquid vinyl-like substance that adheres strongly to the nail surface (hence why it needs to base coat). It dries just like polish. The special top coat goes on top seal the polish, and takes 8-10 minutes to completely dry. Here’s the innovation: The top coat contains a special technology that uses natural light to enhance its durability over time, so the longer you wear it the stronger it gets. In fact, it’s designed to last a full 7 days when applied perfectly, and most testers (including me!) found that claim to be true. When you’re ready to remove VINYLUX, just use a regular polish remover. It couldn’t be easier, and knowing that your manicure is going to last through to the next manicure without chipping makes life so much better. Now, if you were a fan of Shellac, here’s why you might want to give VINYLUX a try. All the same Shellac shades are available in the VINYLUX range, including plenty of new shades with each season. You also don’t need a UV lamp to apply VINYLUX since it’s not a gel. In fact, you can purchase VINYLUX at a salon and apply it yourself at home–you don’t even need to visit the salon at all. To get the most out of the product, I recommend two things: cuticle oil, and a nail file. Daily applications of cuticle oil will keep your nails looking salon-fresh, which is essential when manicures last extra long. Then, you’ll need a nail file to slightly file down nail edges when they chip slightly, or simply look a little ragged. This will ensure your manicure stays perfect for a full week. Visit the VINULUX website to locate a salon that offers it, browse the colors, or to obtain more information.